Hit the trails on our group dog hikes with pick ups in Adams Point, Lakeshore, Temescal, Cleveland Heights, Rockridge, Jack London Square, Redwood Heights, Montclair, the Oakland Hills, and other parts of Oakland, CA. (see map of pick-up areas below). Available Monday through Friday, these group hikes are ideal for dogs that love to romp, run, and sniff around. 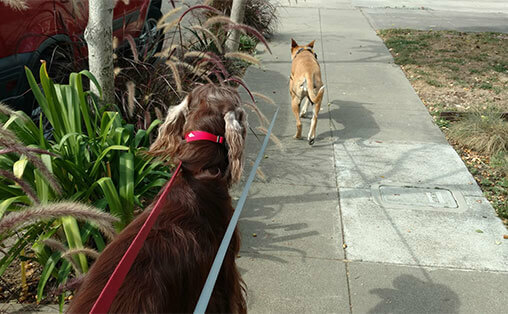 Here are all the kibbles and tidbits you need to know about our Dog Walking Adventures in Oakland, CA. Packs of 6 or fewer dogs are lovingly assembled based on the dogs’ preferences and personalities. Dog Walking Adventures hit nearby trails, including Redwood Regional, Sibley, Claremont Canyon, Leona Canyon, and the Berkeley Marina. Dogs are out of the house for about 2-3 hours total, depending on where he/she is on the route, and an hour of that is on-the-trail adventure time. 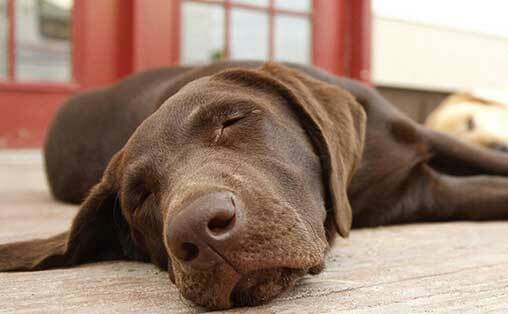 Dogs are generally off-leash, but if your dog needs to be on-leash for whatever reason, we’ve got him/her covered. Walkers use positive reinforcement and bonding techniques to strengthen your dog’s behavior and their dog-human relationship. Dogs often learn new (or hone existing) positive practices, like “sit”, “stay” and “come/here” when they are part of a pack.